Harry Potter Lock-In July 16! Welcome to the Hogwarts School of Witchcraft and Wizardry! Get ready for a full night of Harry Potter! As you may already know, the last film in the series will be out in theaters on Friday, July 15. 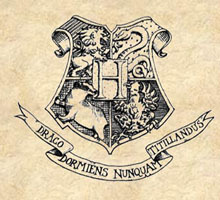 To celebrate, we will be having an all-night Harry Potter extravaganza on Saturday, July 16 from 7:00 p.m. to 7:00 a.m. Very important: Pick up an invitation and a permission slip at any branch. Or, print an invitation and permission slip from the link above. You must have it signed at returned to the library by July 15!